Our ongoing project to collect and fill backpacks for Mary's Meals has now passed the 150 mark - in fact, we've sent off 153 so far. Work continues unabated, and we were really pleased when one of Annemarie's friends tracked down a source for low-cost flipflops as they are not easy to get in the middle of winter. 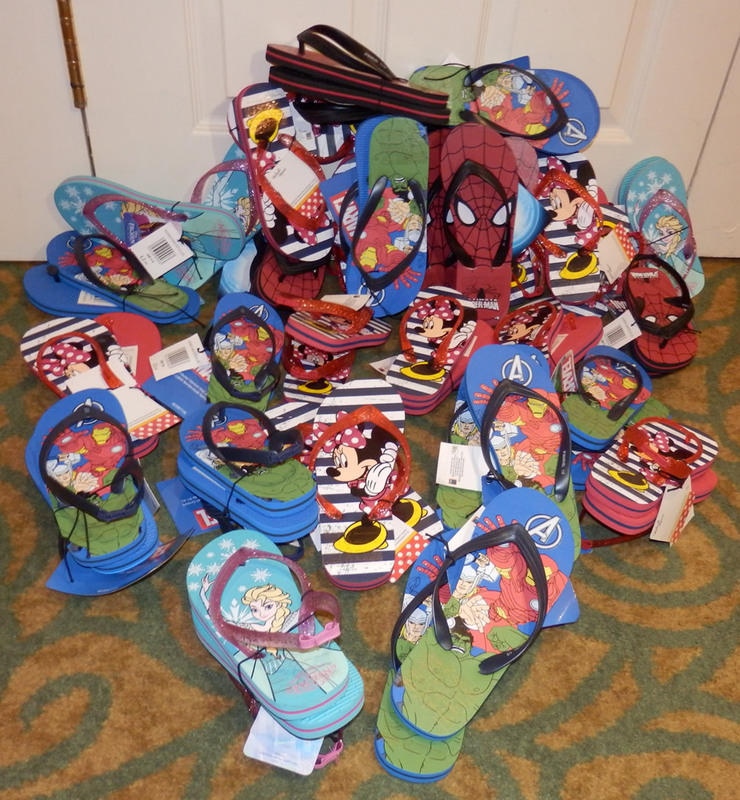 In Annemarie's words - "Many thanks to Susan and Steve who not only found us 20 pairs of flipflops for our backpack project, but also refused to take payment and donated them to us."